This is one hitman who understands— no violent life ends peacefully. After a lifetime spent as a gun-for-hire, a retired hitman known only as “The Man” has finally found a sense of peace. But when a list of his kills is leaked by a mysterious blackmailer, making targets of anyone associated with one of The Man’s previous jobs, he’s forced back into the game he left behind. As he fights to protect those exposed by the list, The Man sets off to uncover the identity of the blackmailer, unaware of the consequences the truth he’s chasing may hold. 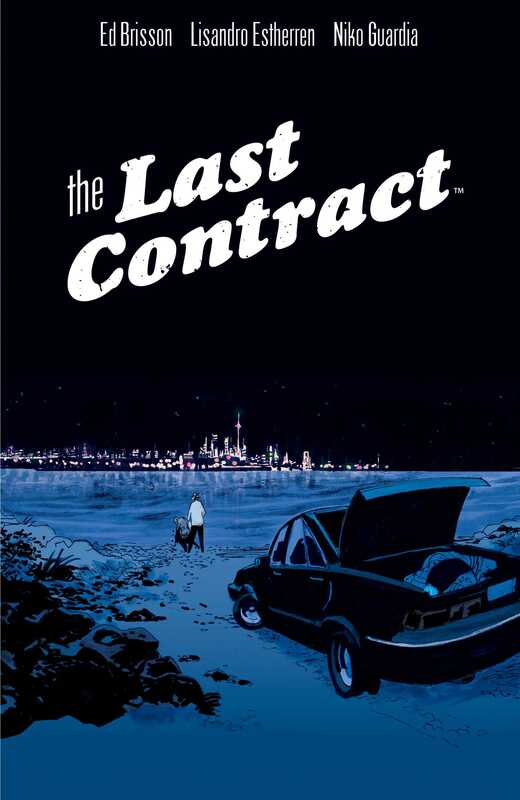 Written by Ed Brisson (Batman and Robin Eternal, Cluster) and illustrated by Lisandro Estherren, The Last Contract is an uncompromising look at what it takes to move on from a life of violence.